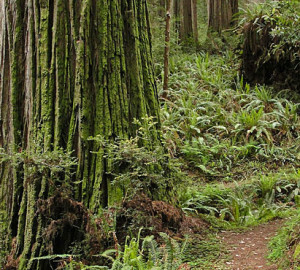 It’s no coincidence that redwoods live in the thickest part of “California’s fog belt.” The presence of coastal summer fog has long been regarded a necessary ingredient for the health and perpetuation of coast redwood ecosystems. 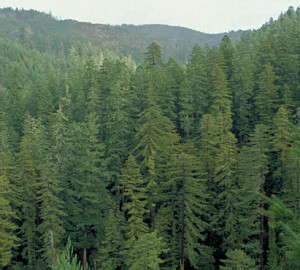 During drier summer months fog supplies trees with moisture and blocks the evaporating rays of direct sunlight, reducing the amount of water that redwoods lose via transpiration. What’s less understood, however, is exactly how fog frequency has varied in the past century and how redwoods have responded to this variation. From analysis of fog climatology data recorded between 1949 and 2001 by five northern California airports, the researchers of this study found that the frequency of fog varies substantially from year-to-year and decade-to-decade. This variability is a reflection of the Pacific Decadal Oscillation (PDO), a pattern of shifts in Pacific sea surface temperatures occurring each decade. These temperature shifts directly affect California fog by increasing its frequency when temperatures rise and decreasing its frequency when temperatures drop. The most noticeable manifestation of the PDO-fog connection has been a continual reduction in fog frequency of approximately 12% since 1977. Since no fog data exists for years before 1949, the researchers used the relationship between temperature and fog to create a proxy record that describes fog frequency in the first half of the century. This record suggests an even more startling trend—fog has declined substantially (as much as 50%) in the last one hundred years. 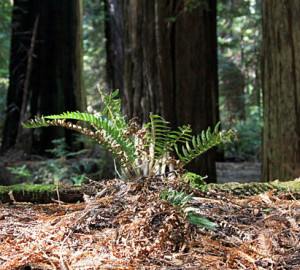 But how do redwoods respond to these fluctuations in temperature and precipitation? 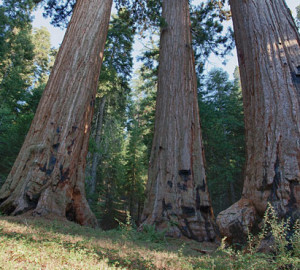 Measurements of the rings in cross sections of trees allow researchers to gage growth in a specific year and compare that growth to precipitation levels for the same year. An expected finding was growth during years when precipitation from the previous winter was high. 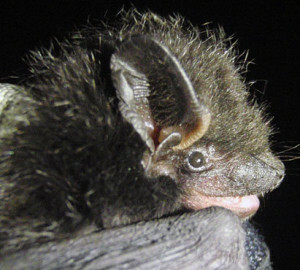 What they didn’t expect to find was decreased growth when coastal temperatures dropped. This indicates that fog and its associated cool coastal conditions can inhibit annual growth. Reasons for this may include reduced radiation from the sun, low temperatures limiting a tree’s metabolism, or high humidity, which can curtail a tree’s transpiration. 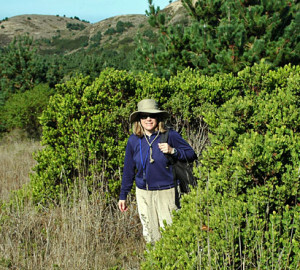 This also suggests that fog might only contribute to increased redwood growth during drought years. 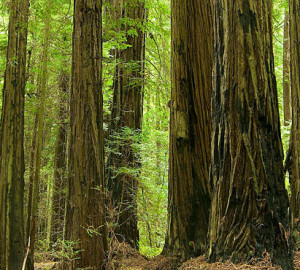 To add to these observations, scientists have found in redwoods’ metabolic fuel, oxygen and carbon, an even surer way of describing the tree’s response to fog. 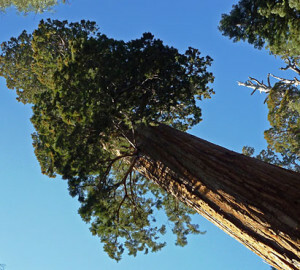 By measuring the amounts of the heavier forms of oxygen and carbon present in tree rings, the isotopes oxygen-18 (O19) and carbon-13 (C13), they can understand the history of trees’ responses to fog. Past studies have shown that fog moisture has a higher content of O19 than winter rain. They have also shown that during drought years moisture stress causes an increase in C13. Because fog mitigates the effect of moisture stress on trees, a lower level of C13 during drought years is a good indicator of fog. 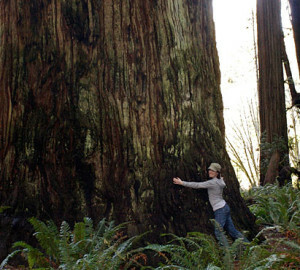 Redwood tree rings, in other words, are libraries holding chemical records of fog frequency and growth patterns. 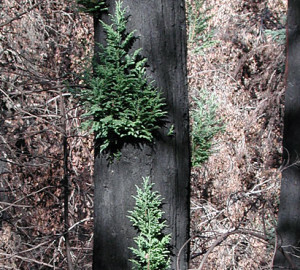 The researchers of this study are in the process of using this chemical record to clarify the connection between fog and redwood growth.